Is a South African pensioner someone who receives a SASSA pension? The Oxford dictionary cites that a pensioner is a person who receives a pension, especially the retirement pension. This is a universally accepted definition of a pensioner, although the word “pensioner” is loosely used in many contexts. Where did the word pension come from? In 1645, Germany founded a widows’ fund for clergy, and then one for teachers in 1662. The first “Old Age Pension Program” originated in the 1880s. Retirement was the idea of Chancellor Otto von Bismarck in Germany. It was a social insurance programme that contributed to the pensions of nonworking older Germans. Initially, 70 was the magic number chosen by Bismarck as the retirement age. This was changed to 65 sometime after Bismarck died. In those days, it was simple – if you were alive, you worked! In fact, Bismarck’s retirement concept was a revolutionary idea – given that life expectancy was around 45! 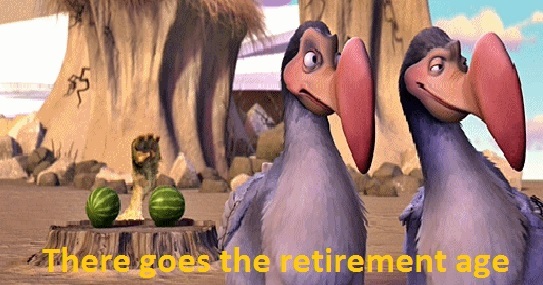 Although the retirement concept had merit in its day, it is now considered to be an almost archaic concept that many believe should go the way of the Dodo Bird, i.e. disappear into extinction. 1908 heralded the start of the modern state pension in the UK. The Old Age Pensions Act provided 5 shillings a week for 70-plussers whose annual means did not exceed £31.50. In the United States, a monthly lifetime income benefit was offered to soldiers during the American Revolution. If a soldier survived the war, he was rewarded by Congress with an income for life, called a pension. According to research, we can go back even earlier, when soldiers who served in Ancient Rome were also guaranteed income after they retired. since the Pension Funds Act of 1956. 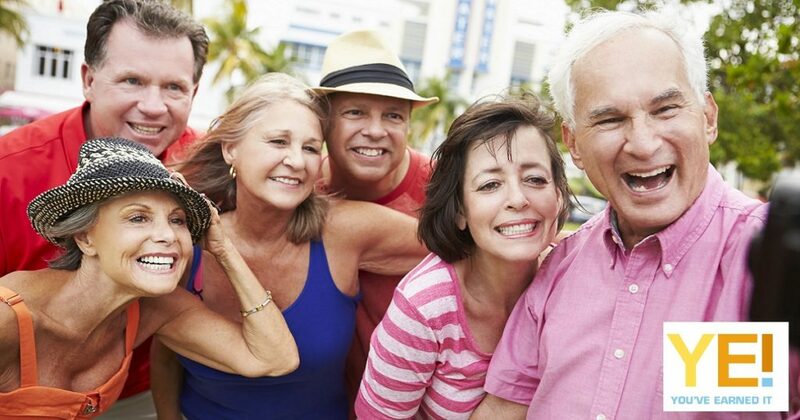 Today’s baby boomer does not associate or identify with being a “pensioner” or a “senior”. Today’s “senior” is healthy, happy and active, and a polar opposite of the stereotypes of days gone by when seniors were depicted as elderly, walking with canes and in wheelchairs. 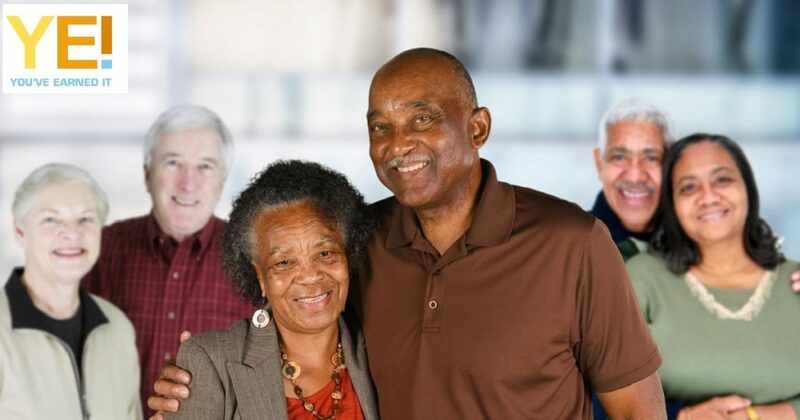 The term “senior citizen” was coined in the late 1930’s implying impoverished older people, and came hand in hand with a “decline ideology” which equated getting older with ill health, old-fashioned and becoming less valuable to society. It’s just not like that any more. “Elderly” is associated with long-term care, ill-health, and diminished capacity. Japanese people believe that the term “elderly” should be reserved for those who are dependent on others for their daily functioning. “Elder” sounds fairly respectable. Elders are venerated for their knowledge and wisdom. And society needs to realise that these days, positive ageing has become more of the norm where people often get better with age and are living much longer lives. Baby boomers do not want to get “old”. Middle-aged expert marketers in the US are adamant that we need to look for a change in terminology. “Don’t label the older generation” says the President of Generational Targeted Marketing in New York. “Let’s not talk about age, let’s talk about interests and values”. The AARP Director of Academic Affairs says he tends to use the term “older people” only because it’s the least problematic. The Chairman of the MacArthur Foundation Research Network on Ageing Society speaks about the old-old and the young-old, the young-old not wanting to be associated with the old-old, because the old-old tend to have more physical needs and functional impairments! or rather beholdee (is there such a word??!!). What age do I become a pensioner or senior citizen in South Africa? It appears that age definitions are a moving target and there are no universally accepted standards regarding the age at which people become pensioners or senior citizens, and that applies to South Africa as well. In the Western World, the most common retirement age is between 60 and 70, which is when people become eligible or qualify for some kind of assistance or social programme based on age. SASSA has a number of qualifying requirements, one of which is age. In terms of the age requirement, a South African needs to be 60 in order to qualify for the Older Persons Grant. So pretty safe to say that you become a pensioner or senior citizen in South Africa by the age of 60. Senior/pensioner discounts generally (but not always!) kick in around the age of 60, although even the youngest of Baby Boomers in the over-50 demographic don’t do too badly! The history behind senior/pensioner discounts is that society sees seniors on a fixed income with limited assets – and this needs to see them through for an unknown number of years. In order for seniors to afford the essentials and possibly the little extras, corporates and businesses offer discounts to this age group. 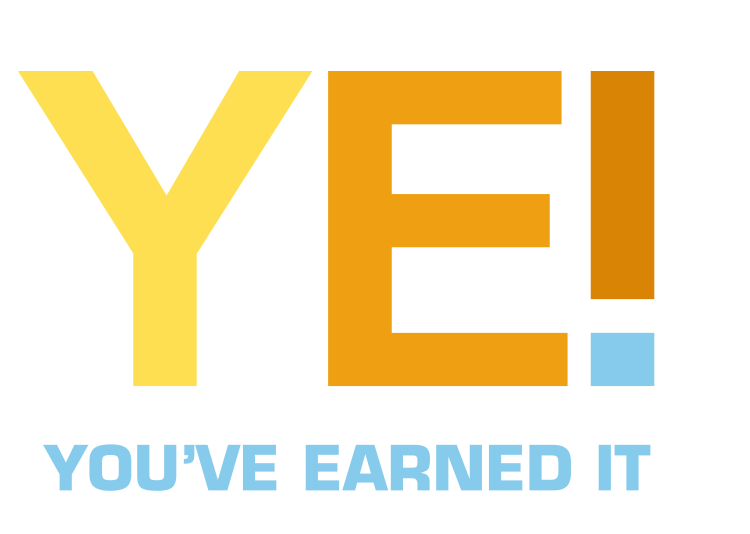 In other words, You’ve Earned It! This has recently been ratified by Mike Schüssler, chief economist at Economists.co.za in his Fin24 article in January 2019. Schüssler says that pensioners are becoming increasingly important in the South African economy. And You’ve Earned It agrees – in fact we have been saying this for over 11 years. Economists are in agreement that SA retailers should try to tap into the spending power of the growing number of pensioners by creating special pensioner days or pensioner discounts. Pensioners account for about 10% of SA’s gross domestic product (GDP), thus playing a very important role in the SA economy. In total, SA’s pension assets are about the 8th largest in the world. The definition of a South African pensioner or a senior citizen is a demographic trend based on age, but not a specific age. It is likely that a pensioner or senior citizen has transitioned from the working world to the world of retirement. However, retirement can no longer be a key factor in becoming labelled a pensioner or senior citizen, as an increasing number of senior citizens work past the age of 60. Given that the SASSA Older Persons Grant kicks in at 60, it is safe to say that you are designated a pensioner or senior citizen after the age of 60, irrespective of your working status. – what works for you? 60-plussers, seenagers, seniors, elder? Or should we just stick to pensioner, senior citizen or retiree? I prefer the term “Mature Citizen” I’m not old in my thinking or abilities. But I am mature, wise, experienced, knowledgeable. Thanks for your comments. We like “mature citizen” too! I don’t care what you call me – as long as you don’t call me late for dinner! As long as I get discounts, call me whatever qualifies for the discount. Hahaha!! Love it! We’ll bear your thoughts in mind!! I don’t care what they call me, but I would like to say or ask that they do it with respect. Good point, Anthony! We agree! The 60, does it go for male and female? Indeed it does! Senior discounts irrespective of gender! I thought I liked Seenager, however, that could imply senility! I do not like Pensioner. Senior Citizen does make me appear old but I don’t feel old! I do enjoy Senior Citizen discounts! Mmm, Mary. You could be spot-on with your interpretation of “Seenager”. Interesting! I think its time that SABC rethink their age restriction in order to qualify for pensioner rates. Agree with all above…how does one get a SASSA Card…? Applied for one some years ago but never received it! Is it really necessary? I think you may mean a SAARP card? The SASSA card is for recipients of the Older Persons Grant – the SA Government pension. RE a SAARP card – I understand it comes with several benefits and one can always use it as a “pensioner card”, but if you are wanting to use it for senior discounts, the SA ID often suffices. Worth checking with SAARP as to what other benefits they offer. I don’t mind being a ‘senior citizen’ or a ‘pensioner’ though I thing I prefer the senior bit which implies a certain sort of elders wisdom! I happily ask for pensioner discounts wherever I shop as pensions certainly don’t stretch as the fuel increases in price along with everything else! I thank God for being healthy (relatively) and quite OK with the freedom of being able to gently garden or indulge in other activities because I don’t have to be in an office or at work. So – yes – I’m a Senior Citizen and fine with that! What does it matter what you are called. I am a Pensioner/Senior Citizen and I am proud of it! I am old – that’s a fact of live but still young at heart. Call me anything you like, I know who I am!! !